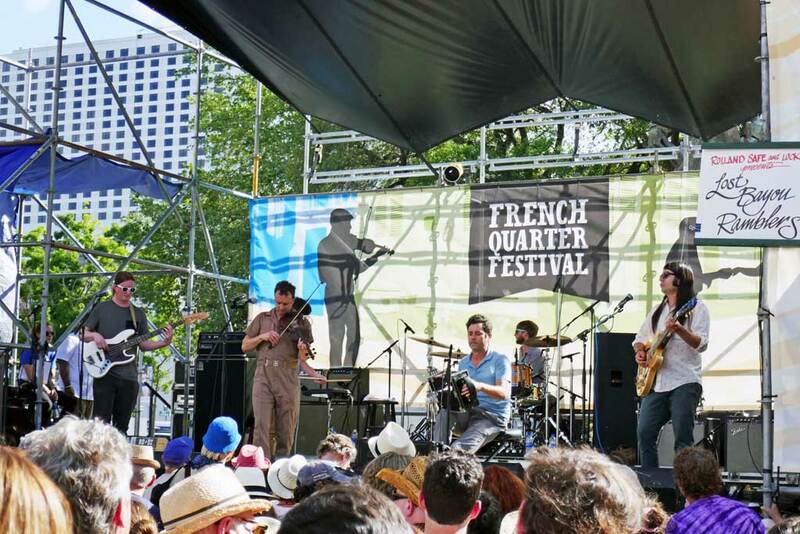 Los Bayou Ramblers at French Quarter fest 2018. 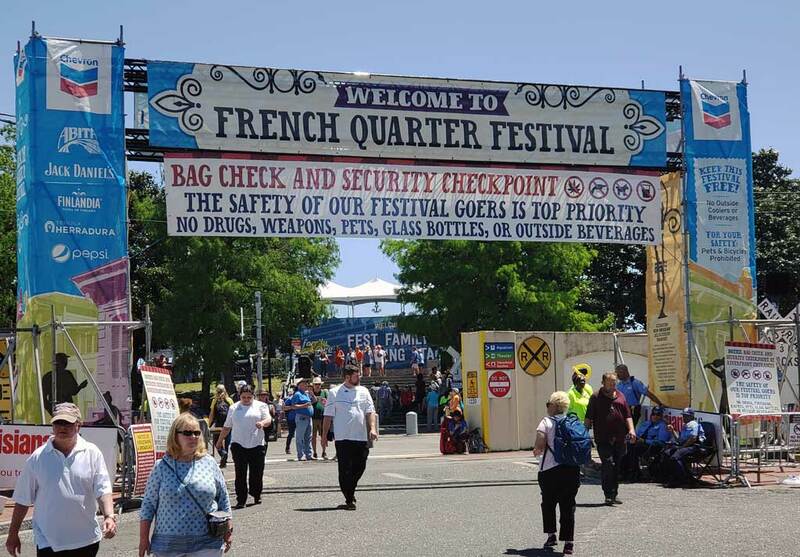 French Quarter Fest in New Orleans in April this year, saw it’s 35:th edition go off with only a minor hitch – one day was “stormed out’ – Saturday’s events had to be cancelled due to high winds and a copious amount of rain. 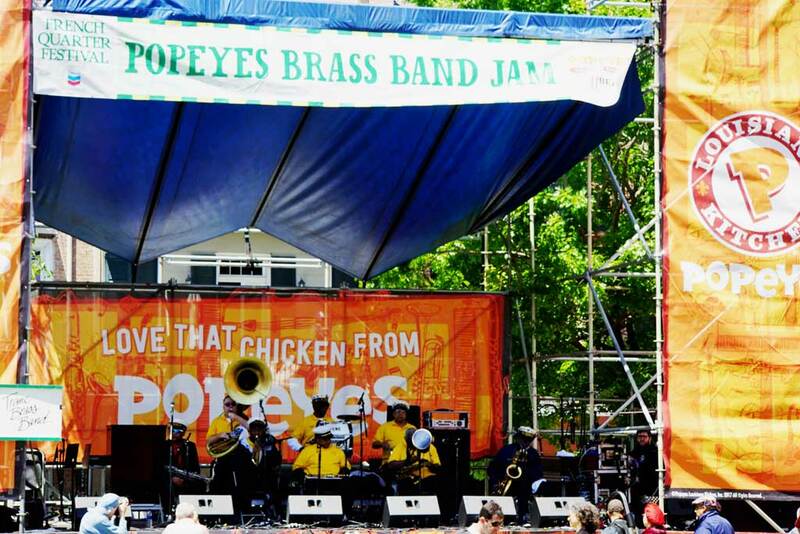 One of the more popular stages at the FQF is the Chevron Cajun-Zydeco Showcase on Decatur Street with bands such as the Grammy nominated Lost Bayou Ramblers performing. Let me tell you that these Cajun tunes are catchy as can be, especially when combined with the rhythmic Cajun/Creole music. Lost Baju Ramblers consists of 6 band members and they are: Brothers Louis Michot (fiddle and lead vocals) and Andre Michot (accordion and lapsteel), Bryan Webre (electric bass), Johnny Campos (electric guitar), Eric Heigle (electronics and acoustic guitar), and Kirkland Middleton (drums). Their latest record to date at the time of FQF in April 2018 is “Kalenda” and you can buy it from their store here . I strongly recommend that you buy this great record and support the band! Below is a little snippet from their performance to show how good this band is and how catchy their music is. 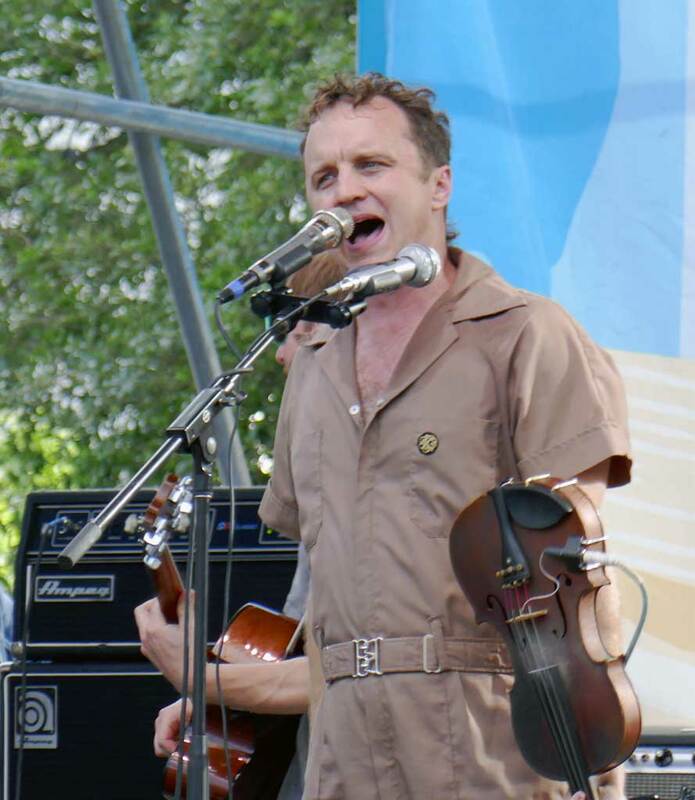 Louis Michot, lead singer and violinist (or fiddler) of the Lost Bayou Ramblers. 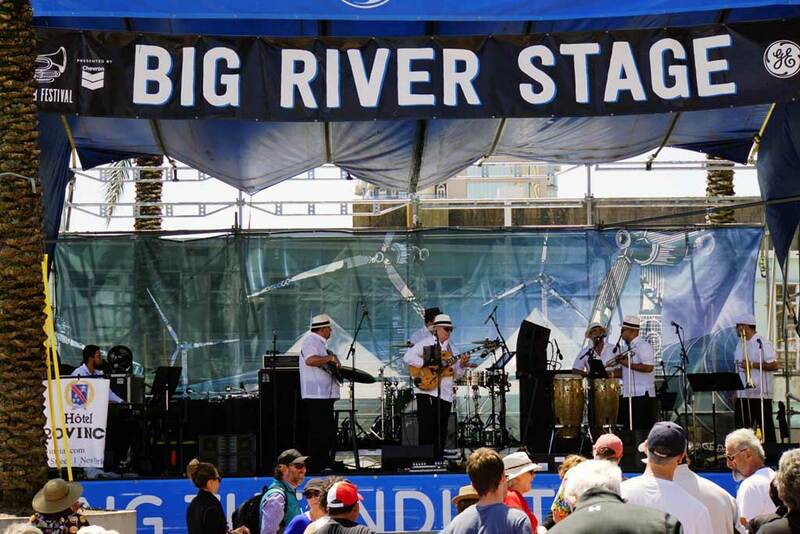 Big River stage in the Woldenberg Park by the Mississippi river. 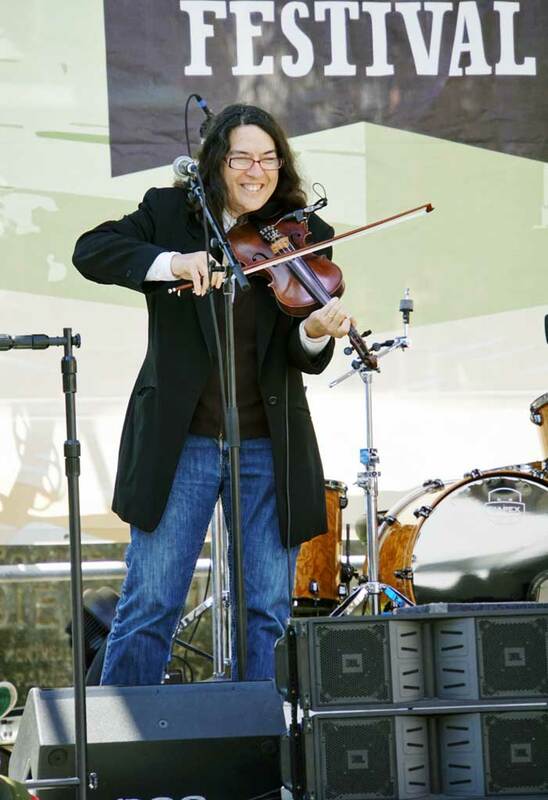 A fiddler on one of the many stages during the 2018 French Quarter Fest. 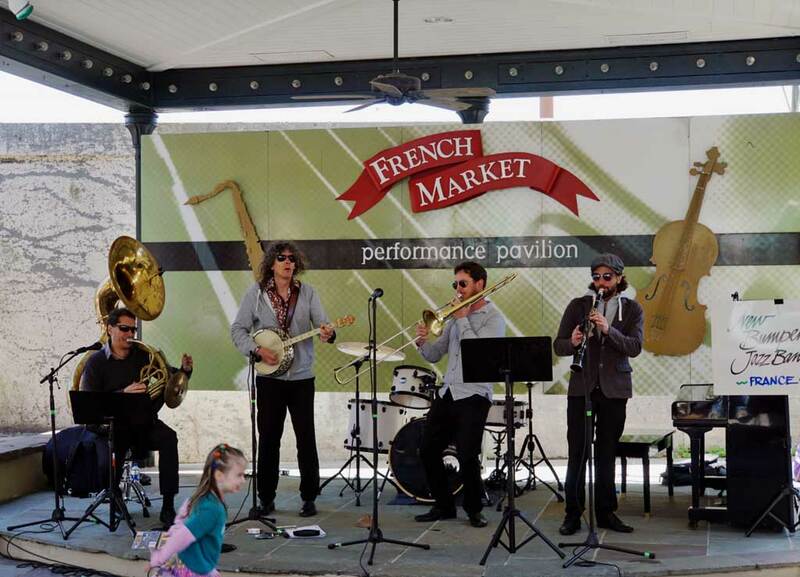 French Jazz band at the French Market Stage. The Brass Band stage at the New Orleans Mint. 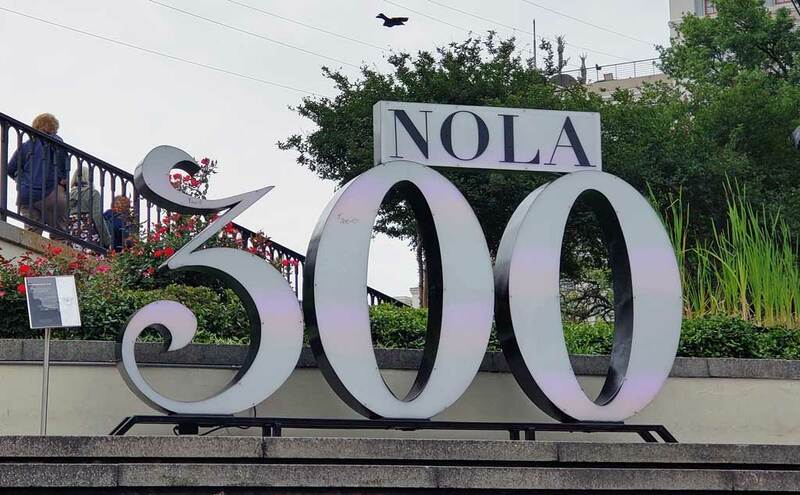 New Orleans 300 sign by Jackson Square. New Orleans was claimed by the French in 1682 and the city of New Orleans was formed in 1718 by Jean Baptiste Le Moyne de Bienville. The city is celebrating 300 years this year 2018, read about the events here. 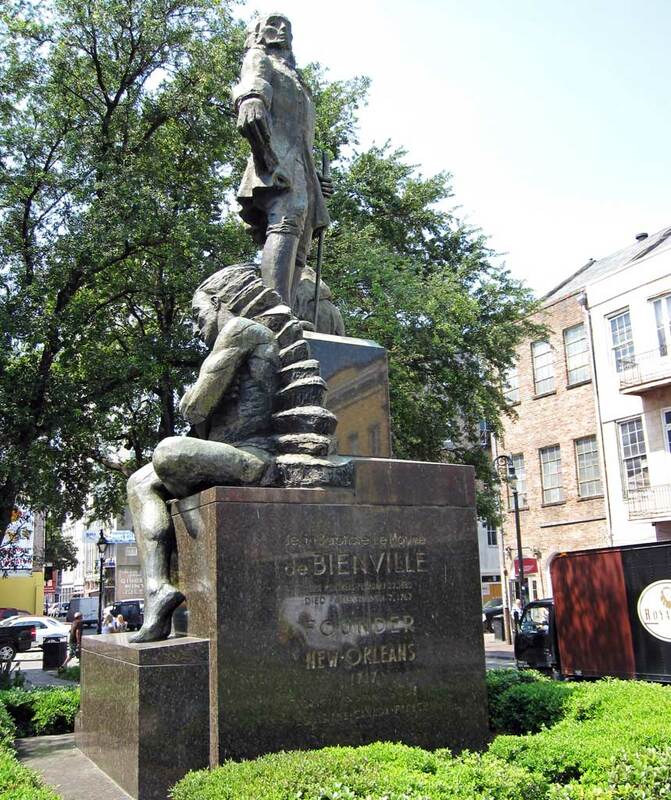 Statue erected in 1955 depicting Jean-Baptiste Le Moyne de Bienville (Born Feb 23 1710 in Montreal New France, died in Paris March 7 1767) de Bienville is credited with founding La Nouvelle-Orléans (English – New Orleans) in 1718. The actual date is not exactly known, but May 7 has been the traditional date of celebration. Nachez, New Orleans only steamboat. 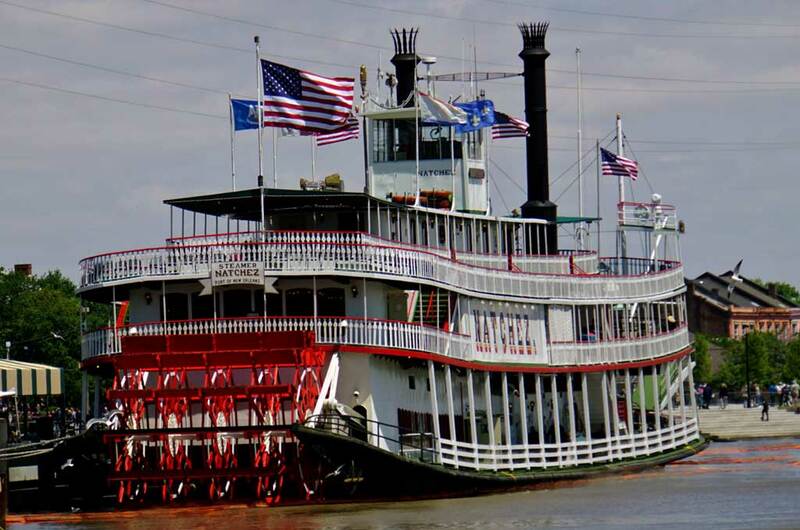 Finally an image of the Nachez stamboat that offers Cruises with dinner and Jazz, go here for more info and tickets.